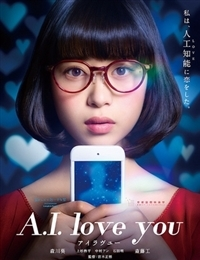 A love story that depicts love with artificial intelligence, filmed with smartphones. Haruka Hoshino, a dreamer who wants to have her own store, continues to apply for recruitment at a well-established Western confectionary shop, but only notification of rejection is received. One day, a spam mail arrived, Haruka invited by the phrase "Your dreams come true" that was written there, installs AI (artificial intelligence) equipped call type application.